As a start up company it's important to have reliable and consistent advice, some of which may be hard to hear. One of our best decisions at emoquo was to appoint Waterfront as our solicitors during the early stages of our business. They have consistently provided us with very good advice and rapidly responded to our changing needs. More recently they have helped us steer a clear path through the minefield of raising new investment, not just protecting our short term interest but making us aware of the long term implications of some of our critical decisions. 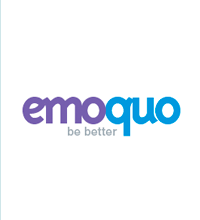 We look forward to a long and mutually beneficial relationship, as emoquo continues to grow and expand beyond the UK.